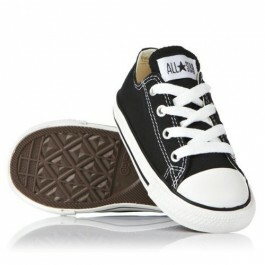 Converse Infant CT OX Shoe. 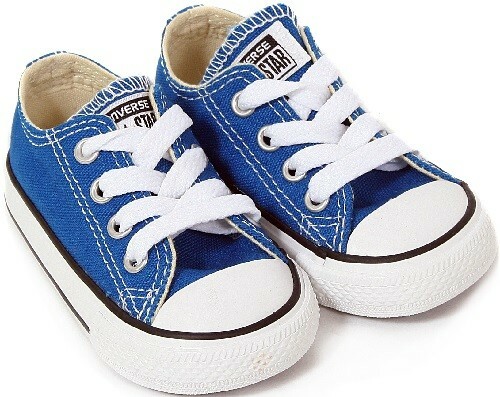 These Converse All Star lo-top infant shoes have a coloured canvas upper with contrasting stitching and the Converse embroidered logo label on the tongue. These shoes come with a thick white rubber out-sole with black piping detail on it, the Converse rubber logo on the back and a rubber toe cap. They have metal eyelets in which the laces run through them and a patterned sole for grip.